NASHVILLE -- Nissan dealers will begin selling the redesigned 2013 Altima before its official June 26 launch date as the automaker builds production volume faster than expected. Dealer deliveries began last week around the country. Nissan has asked each of its 1,100 retailers to hold one new Altima as a demo model, says Al Castignetti, Nissan Division vice president for sales. But dealers are free to immediately sell any additional Altimas they receive. The Altima has been a key to Nissan's U.S. market share growth, making the company eager to maintain the momentum during the model changeover. Last year, the Altima eclipsed sales of the Honda Accord in the United States for the first time to become the market's No. 2 mid-sized car behind the Toyota Camry, selling 268,981 units. In the first five months of this year, Altima sales are up 21 percent, even as the model goes out of production. Nissan has begun taking Internet preorders for the new Altima, offering a three-year/45,000-mile free-maintenance plan for early purchases. The company hopes to sell 25,000 units through this program. A TV campaign for the car will begin around June 20. Keeping up volume during a model change is a challenge. 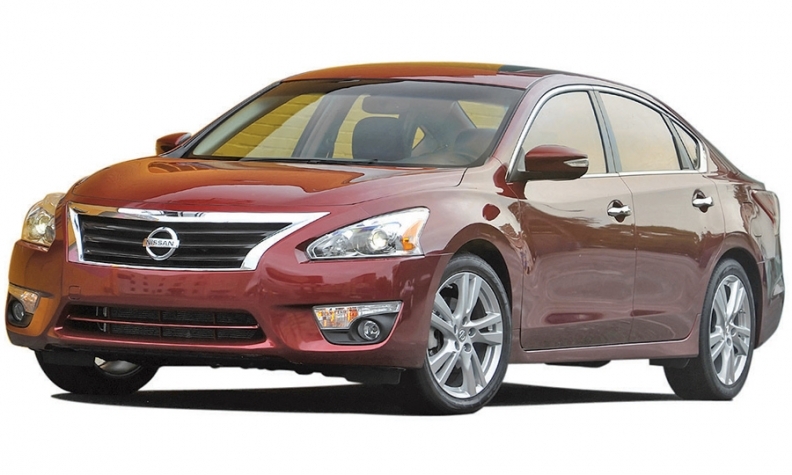 Altima sales declined 11 percent in May from May 2011, while April sales were down 6 percent from a year earlier. Nissan is simultaneously trying to clear out 2012 Altimas with ample incentives, even though the company continued to produce the 2012 model as it launched the 2013. The 2012 models are being offered at 0 percent financing for 60 months.